The Actuarial Standards Board (ASB) comprises nine persons representing a broad range of backgrounds and areas of actuarial practice. Each ASB member is appointed to a three-year term, with staggered terms. No board member is permitted to serve more than two full consecutive terms. Members of the ASB are appointed by a selection committee composed of the presidents and presidents-elect of the American Academy of Actuaries, the Casualty Actuarial Society, and the Society of Actuaries. The president of the Academy serves as the chairperson of the selection committee, which annually also appoints the chairperson and vice chairpersons of the ASB. The ASB sets standards for appropriate actuarial practice in the United States through the development and promulgation of Actuarial Standards of Practice (ASOPs). These ASOPs describe the procedures an actuary should follow when performing actuarial services and identify what the actuary should disclose when communicating the results of those services. 5. publishes a final standard or another exposure draft. All meetings of the ASB are in Washington, D.C., unless otherwise noted. If you wish to attend an ASB meeting, please review the Board and Committee Meetings Policy here and contact Erica Kennedy with your request at least 10 days before the meeting. The Board. The ASB comprises nine persons representing a broad range of backgrounds and areas of actuarial practice. Each ASB member is appointed to a three-year term, with staggered terms. No board member is permitted to serve more than two full consecutive terms. Indicating for various areas of actuarial practice the appropriate procedures, techniques, and approaches, thereby enhancing the public’s trust in the credibility and completeness of the actuarial work product. Providing a means by which the many separate elements that make up actuarial practice can be reviewed and updated on a regular basis, so that practice remains current. Furnishing criteria for evaluating actuarial work products. Providing a basis for discipline in those instances in which standards are not adhered to. Providing guidance, particularly in practice areas that may be somewhat unfamiliar. Giving strong evidence to any interested observer that the profession serves the public in an effective and responsible way. Offering evidence of appropriate professional performance, which constitutes a defense in any civil or professional disciplinary action. Standards of practice also serve to further assure regulatory authorities that they can depend on the actuarial profession to act effectively in the public interest. Written standards of practice, coupled with written provisions for disciplining members, show that a profession governs itself and takes an active interest in protecting the public. As a general rule, the ASB’s operating committees develop standards. But ASB procedures allow for special cases in which another committee or task force may be appointed with the specific charge of drafting or updating a standard. Before drafting begins, committee members solicit a wide range of ideas and perspectives on the issues that may bear upon the standard under development. Exposure. Once the board has approved a draft standard for exposure, it is published and distributed to all the members of the actuarial organizations governed by the standards of practice of the ASB, as well as individuals who have expressed an interest in the profession’s standards setting, such as state insurance commissioners. Committee members also recommend as recipients individuals who might have a particular need to be informed about a given standard. Finally, exposure drafts are posted on the ASB’s website. The comment period in most cases is a minimum of 60 days. Some exposure drafts are so complex or controversial or portend a sufficiently major impact on the actuarial profession as to require a public hearing, which is open to anyone, including the media. In these cases, the ASB chairperson authorizes hearings. When all exposure steps are completed, the ASB considers all submitted comments and revises the draft as it sees fit. In order to adopt a proposed standard six members of the board must vote in favor. 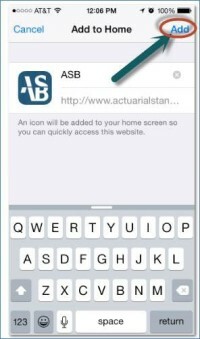 Once standards are approved by the ASB, they are posted on the ASB website and all US actuaries and other interested parties are notified by e-mail. Discipline. No set of professional standards has real meaning unless it is backed by the possibility of disciplinary proceedings against professionals who deviate from these provisions without appropriate disclosure. The Actuarial Board for Counseling and Discipline (ABCD), an independent entity managed through the Academy, has disciplinary authority for the entire actuarial profession in the United States. The ABCD considers complaints against members of the profession concerning allegations of unethical conduct or unprofessional work products, and may recommend actions ranging from counseling to expulsion. NOTE: Statements, representations, and expressions of opinions or views made by any individual member of the Actuarial Standards Board, its committees, subcommittees, task forces, or staff are attributable only to the speaker or author and should not be construed as representing the views of the ASB, unless the speaker or author has been expressly authorized by the ASB to express its views.